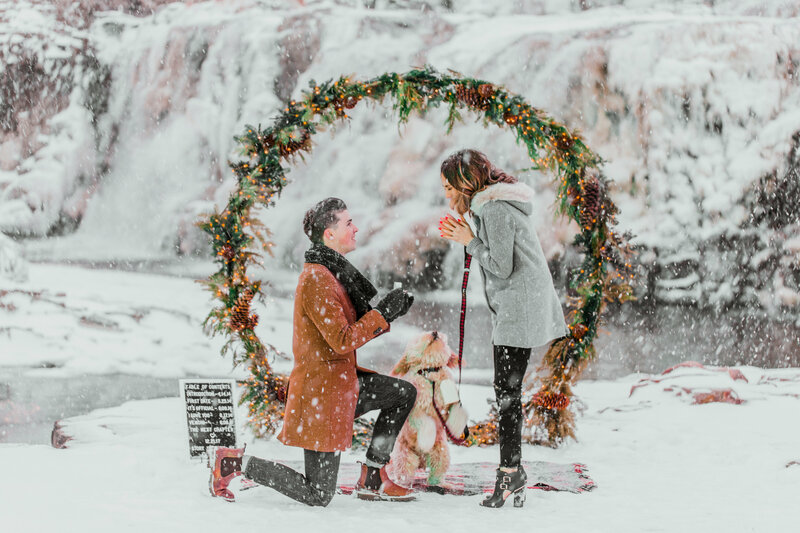 Whether you have a love or a hate relationship with snow, there’s one thing we can all agree on…it makes for some GORGEOUS proposals! Take a walk with us through this winter wonderland of romantic moments which is sure to warm your heart, no matter how cold. If you love hot chocolate stands, holiday shops or any excuse to dress up with scarves, mittens and winter weather attire, then a winter wonderland is the perfect location. Surprise your sweetheart by creating your own mini market in the backyard or at a local park. String up twinkle lights, serve a hot beverage, even pump in the fake snow (or perhaps be lucky enough for real snow to fall at the right time) to create the perfect, magical moment. What’s more romantic than snuggling up together by the glow of a fire? Cuddle up and tell your partner all the things you love about spending time with them, then ask if they’ll spend forever with you. Fireplaces also make gorgeous backdrops for more than just cozy pajamas. Fancy attire paired with a fireplace at a venue is a wonderful combination for photos. Fires aren’t just for the indoors. 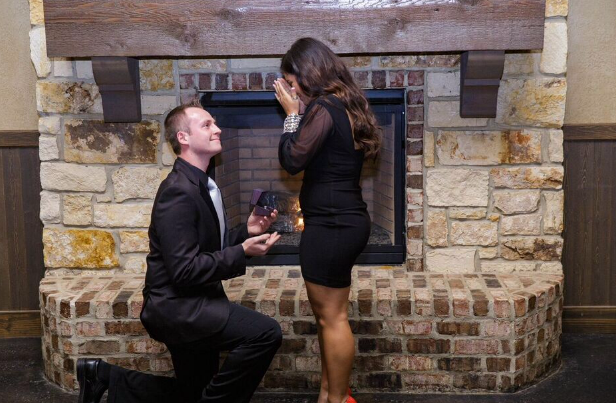 If you’re an outdoors person at heart, propose at a bonfire or next to an outdoor fire pit. 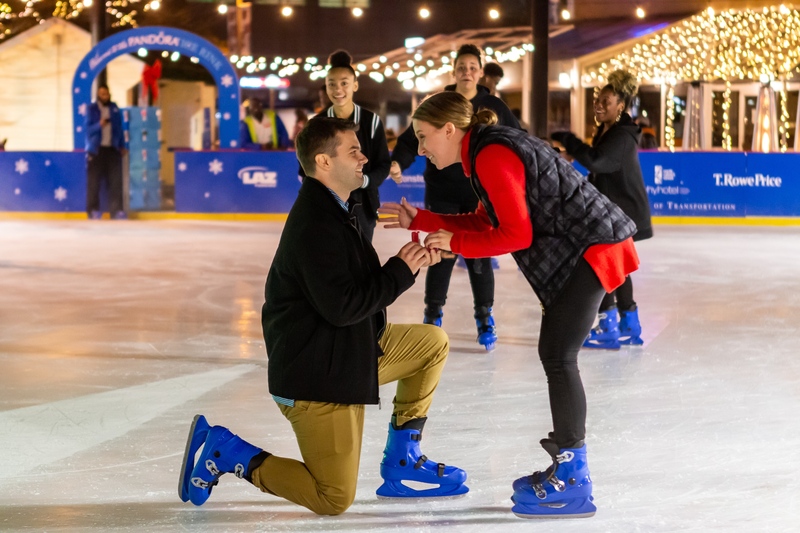 Whether you’re regulars on the slopes or you’re stumbling down for the first time, proposing on the way down will provide a wonderfully snowy moment (pro tip: you may need to unstrap your skis or board to get down on one knee). 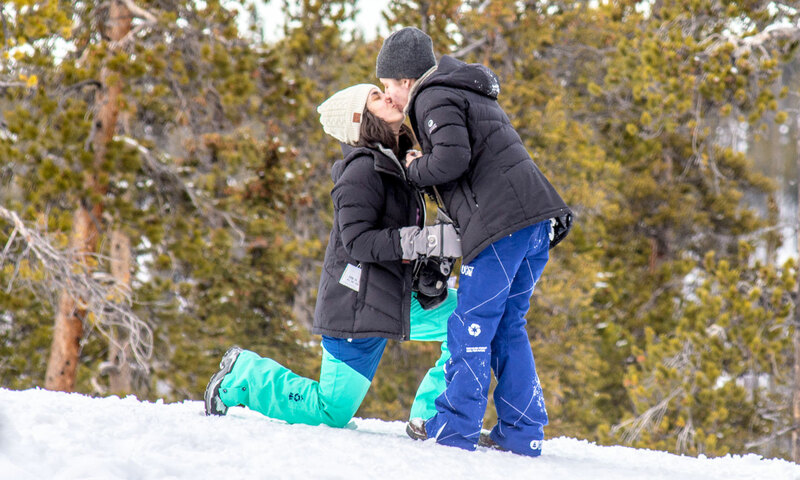 If a private proposal is more your speed, pop the question as you cuddle up together on the ski lift. 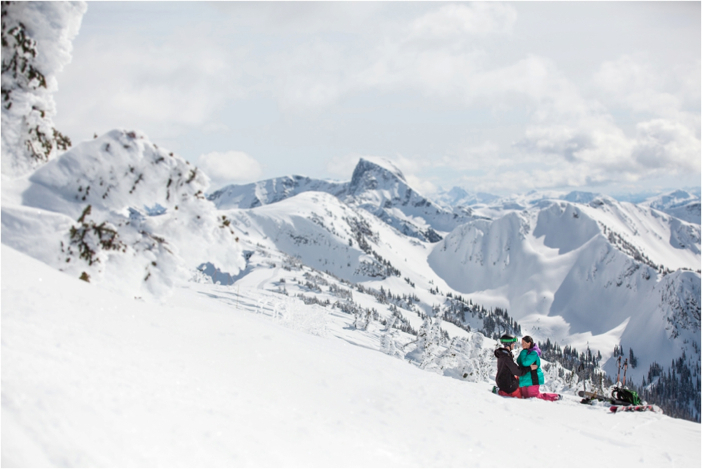 Head to the mountains (even if skiing isn’t your thing). 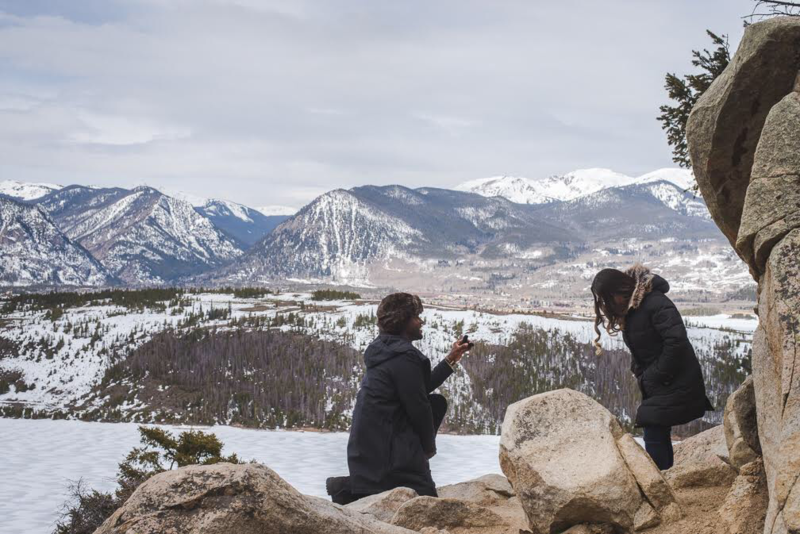 Hiking to the top of a mountain will make you feel amazing, and so will getting engaged surrounded by such breathtaking views. A blanket of snow adds another layer of beauty to everything! We understand not everyone can have snow during the winter or get to somewhere that does. 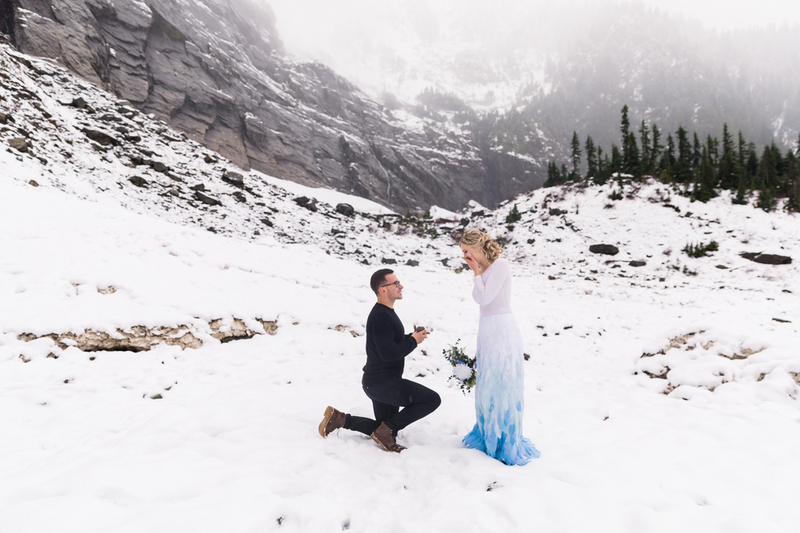 Don’t let the climate stop your proposal plans, create your own winter. Hang white lights that cascade from above like falling snowflakes. Cover the ground in white, billowed up fabrics to create the illusion of a snow-covered ground or rent a snow machine and let the flakes fall, no matter the temperature or location. Any excuse to hold hands is a good one in our book. The perfect symbol for a relationship, ice skating together means having someone to help you back up when you’re down. When the rink clears so the zamboni can make its appearance, drop to one knee. Your love will think you’ve fallen and come skating over to help you up, until they see you’re down for a reason. Winter can bring some seriously cold temperatures with it, especially if you’re not wearing a coat. It can also bring some seriously stunning snow with it to create landscapes you’ll remember for a lifetime. Get dressed up and head outdoors for the perfect snowy photo shoot. 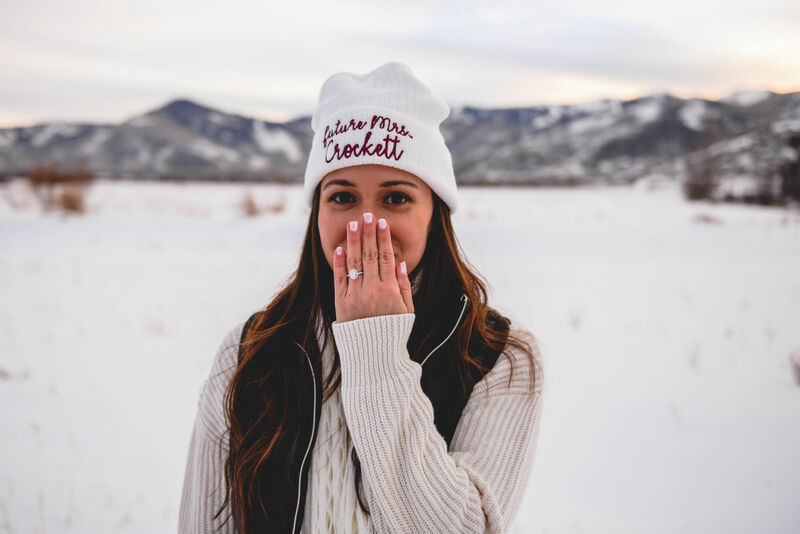 When the shock of getting engaged kicks in, we think you’ll forget all about how cold you are. Who can resist tossing a snowball (or several) when the fresh powder hits? 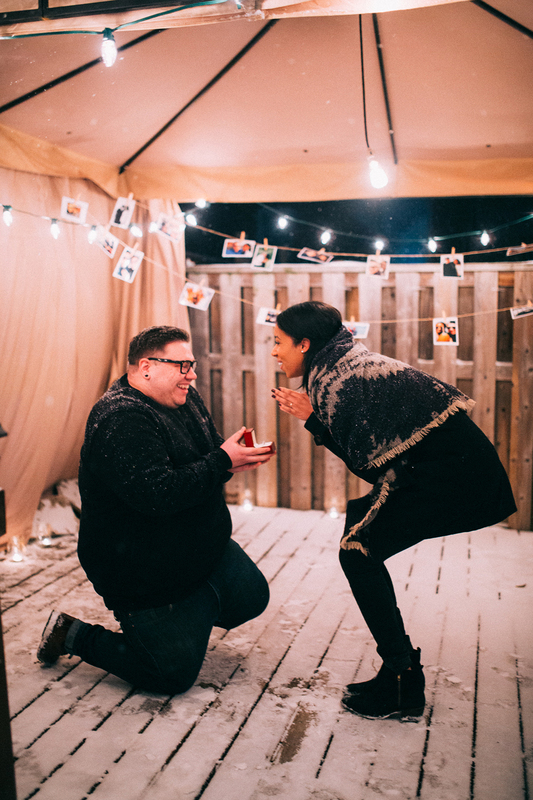 When your partner turns to form their snowball, turn back with a ring box (we can’t promise you won’t get pegged in the face with a snowball before getting the YES, but it will all be worth it in the end). Mountain ranges are notorious for spectacular views and snowy scenes. 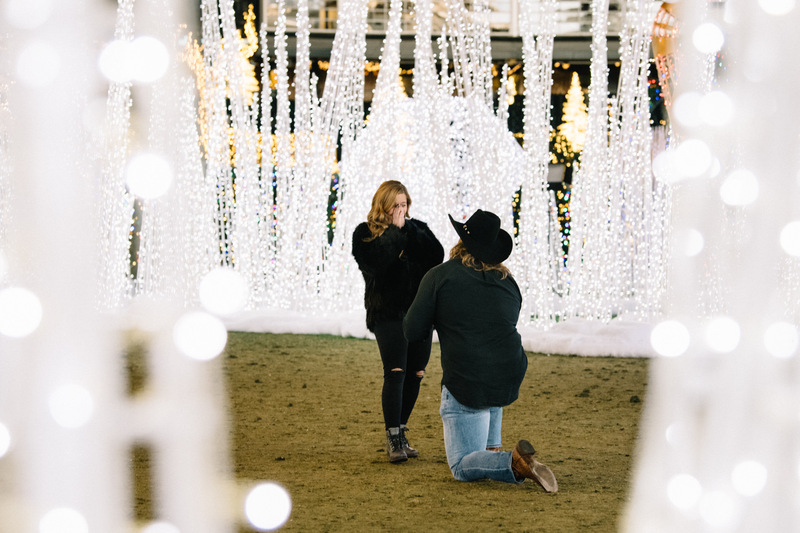 Whether you’re up on the mountain to ski or snowboard, or are simply looking for a place to travel and see snow, surrounding yourself with such beauty as you pop the question is the formula for the perfect proposal. Who says winter is just cold and snowy? Warm up your frozen bodies with a vacation to a beach or other sunny, tropical climate. Destination proposal anyone? If snowy conditions make winter travel a challenge in your neck of the woods, plan a staycation with your partner where you can hunker down at home, a hotel, or in a local rental for a day (or several). 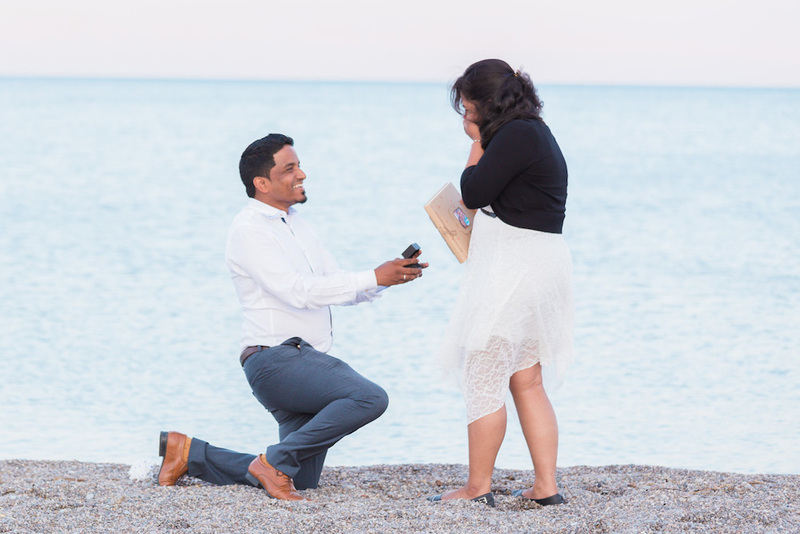 Watch movies, play games, do whatever it is the two of you love to do together and enjoy the time alone, especially the time you’ll get one on one to celebrate your proposal together! 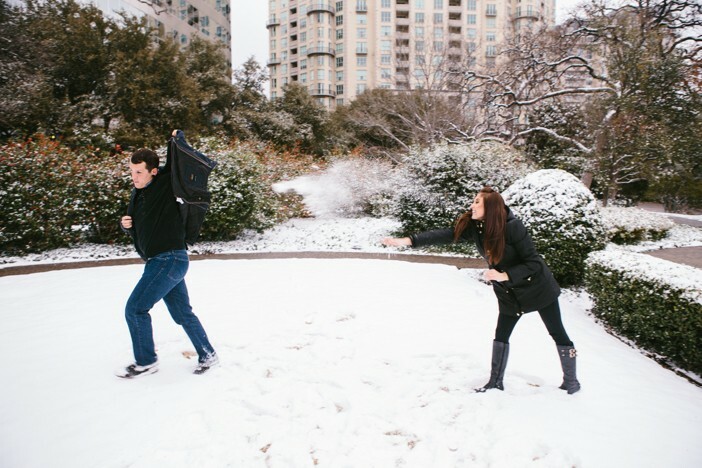 Getting engaged in the winter sometimes requires a weather back-up plan for when snowstorms can impact your travel or schedule. 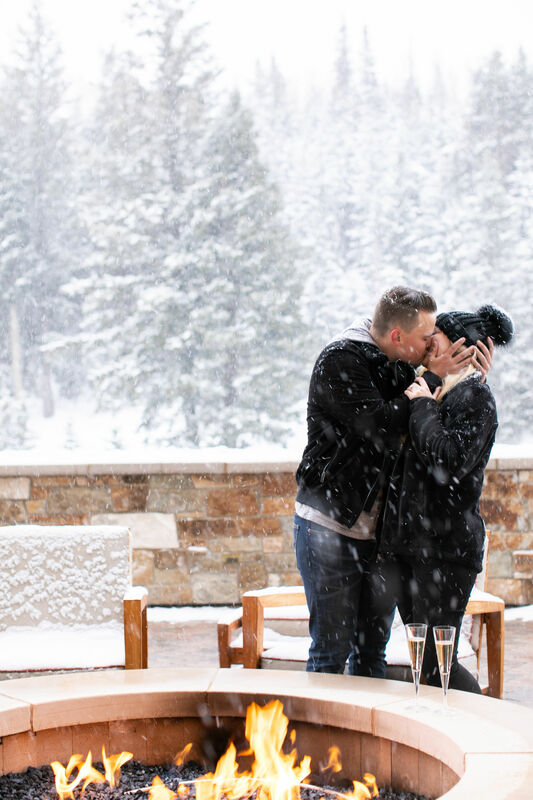 Other times, a snowstorm can provide the perfect proposal moment, sweeping you up in a whirlwind of flakes and emotion. 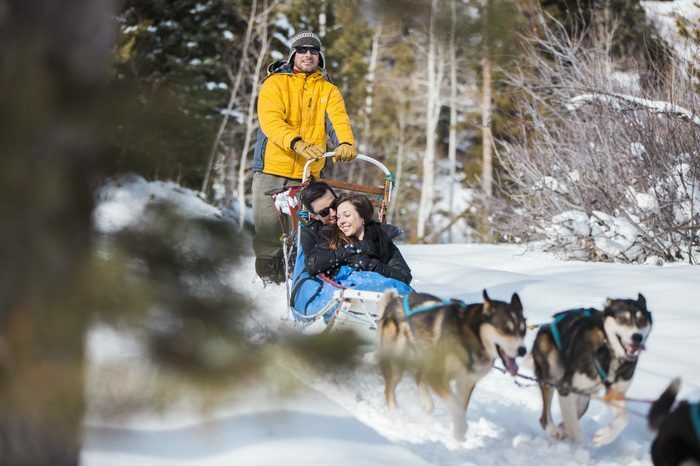 There’s something romantic about a sleigh ride, whether it’s a horse drawn sleigh through the park or a dog sled through the woods. Have a snowman building contest and build them back to back so you can surprise each other with a big reveal. Your sweetheart will be shocked to see your Frosty holding a ring box. 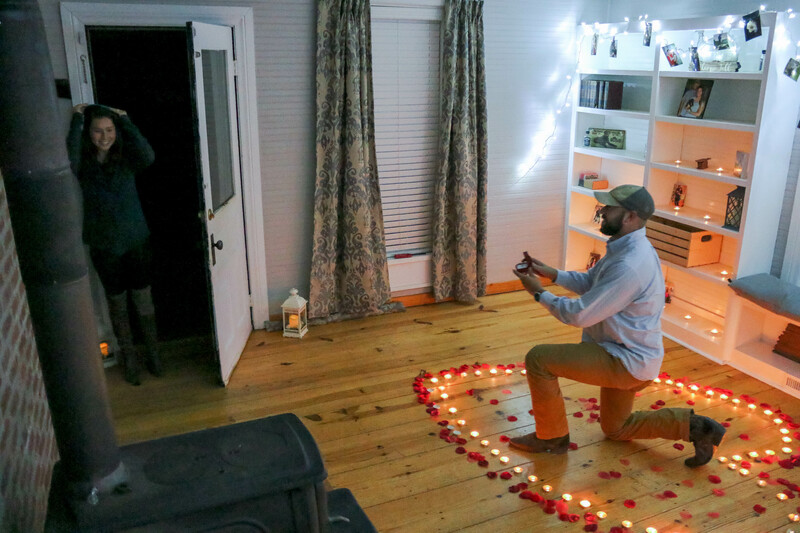 “Do you want to build a snowman?” is great, but “Do you want to marry me?” is even better! 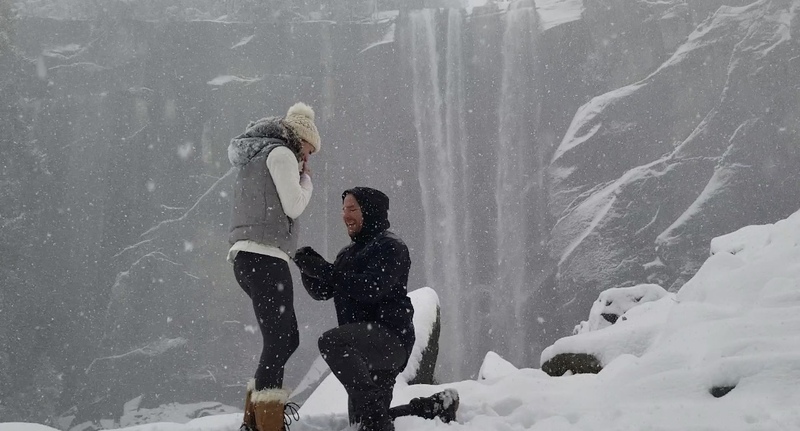 Have a winter proposal of your own? Share it with us here.